In traditional Chinese medicine, the decision making process is dependent on the strong energy of the Gallbladder. 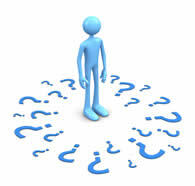 When the Gallbladder energy is weak, a person may have trouble making decisions. In Chinese medicine theory every organ has a physical and a mental function in the human body. The organs are paired according to yin and yang theory. The Liver and the Gallbladder are a yin yang pair. The Liver influences our capacity to plan our life and find a sense of direction. The Gallbladder influences our courage and conviction to make decisions to carry out that plan. When the Liver and Gallbladder are in balance, mentally and spiritually we are focused and decisive about our purpose in life. A person with a diagnosis of Gallbladder deficiency may appear nervous and timid. They may lack courage and initiative and may be easily startled. Physical symptoms may include dizziness, blurred vision, panic attacks and insomnia. Gallbladder deficiency may be congenital and actually describe the character or personality of an individual. Gallbladder deficiency may result from traumatic childhood experiences. And Gallbladder deficiency may also result from a severe deficiency of Blood. Although extreme cases may warrant psychotherapy treatment, Chinese medicine has a lot to offer people who may fall into this pattern of imbalance. In the following article, Dr. Jake Fratkin discusses the many Chinese herbal formulas that can be used to treat the common cold and flu. Consult a licensed practitioner of Chinese mediicne to determine which formula should be used in any given situation. In the following article, Dr. Jake Fratkin gives us an acupuncture protocol to help pass kidney stones during an acute attack. He also, talks of an herbal product that he himself has formulated to treat and prevent kidney stones. I created AMBER STONE FORMULA as a variation on PASSWAN, a Chinese patent medicine for the treatment of kidney stone from Bai Yun Shan Pharmaceutical Manufactory in Guangzhou. PASSWAN has become generally unavailable in the United States, and few American companies have elected to offer a kidney stone formula. The original name, PASSWAN, I suppose is a Chinese-English variation for Pass (the Stone) Wan (Pill). Its Chinese name is te xiao pai shi wan, which translates as “Specially Effective Expel Stone Pill”. The formula is certainly “Specially Effective.” I have heard of cases of acute stone impaction that would release within 30 minutes of taking the pill. The original formula has 11 ingredients, while ours has 10 herbs. Five herbs are the same. The lead herbs are Desmodium Jin Qian Cao and Lygodium Hai Jin Sha. These two herbs together act synergetically to dissolve stone, and offer a significant contribution to the treatment of kidney stone. Western medicine currently employs ultrasound to crack a stone, but this approach shatters the stone into small pieces which injure local tissue as they are expelled. The combination of Jin Qian Cao and Hai Jin Sha actually dissolve the stone, allowing expulsion without damage. Millettia Ji Xue Teng is a both a blood tonic as well as a blood mover, but in this formula it is included to relax spasm, a chief feature of acute stone obstruction. Notoginseng Sheng Tian Qi helps to stop bleeding. The last shared herb of the formula is Succinum Hu Po, or amber pine resin, which is used synergestically with Desmodium Jin Qian Cao and Lygodium Hai Jin Sha to treat urinary obstruction and dissolve stone. In my formula, I also added herbs to reduce kidney and bladder damp heat, namely Pyrrosia Shi Wei, Dianthus Qu Mai and Talcum Hua Shi. Damp heat is the underlying condition that allows stones to form in the first place. 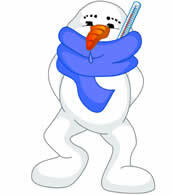 The heat congeals stones, and it is important to clear heat to address the root cause. These damp heat herbs specifically go to the kidney and bladder. 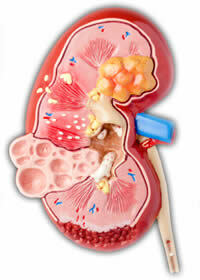 The final herbs of the formula treat specific aspects of a kidney stone presentation. Imperata Bai Mao Gen reinforces the effect of stop bleeding, and also helps to heal damaged tissue following an acute attack. Lonicera Jin Yin Hua inhibits infection, which often accompanies the damage of a kidney stone. 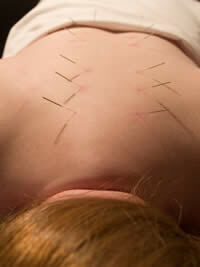 Upper back pain is a condition that I commonly treat in my acupuncture practice. Often this type of pain is related to occupational repetitive motion injuries. Dentists, teachers, hairdressers, and band directors have sought my help in addressing upper back pain. Sometimes this type of upper back pain is associated with a cervical disk nerve impingement that may also cause neck pain and pain radiating to the shoulder and down the arm. Stress related neck and shoulder tension may also be the culprit. Usually my patients have already seen their physicians for diagnostic tests to determine the underlying cause of their upper back pain from a western medicine perspective. This is important to rule out the remote, yet critical possibility, that their pain is related to heart disease or a tumor causing the nerve impingement. When the pain is strictly a muscular-skeletal issue, it responds very well to acupuncture treatment. A collection of twelve very important acupuncture points called the Back Shu, or Back Transporting points are located on the Bladder meridian along the spine. There is a Back Transporting point for each of the six yin organs and each of the six yang organs. They are called “transporting” points because it is said that they transport “Qi” to the inner organs. These acupuncture points are located on the inner Bladder meridian path, which is about an inch and a half from the mid-line of the spine. The Back Transporting points affect the organs directly and are especially important in the treatment of chronic diseases. Each of the points is named after the organ that it is associated with. For example, Bladder-13 connects with the Lung and is called Lung Shu. The Back Shu points also have the ability to affect the sense organ associated with the organ it is named for. For example, Bladder-18, the Back Shu point of the Liver is often used to treat eye diseases, because it is said that the Liver “opens to the eye”. Bladder-23, the Back Shu point of the Kidney can be used to treat tinnitus and other chronic ear problems related to Kidney deficiency. The Back Shu points are acupuncture points where the Qi and Blood of a particular organ meet. These points not only treat diseases of their associated organs, they can also be diagnostic in nature. Sensitivity upon palpation indicates a pathology of that organ. A sharp pain elicited with pressure on the point indicates an excess condition and a dull ache with palpation indicates a deficient condition. Congee is a thin porridge or gruel most often made from rice. Congees strengthen the Spleen energy and nourish Blood. Congee is very commonly eaten for breakfast in China. Because of the nourishing properties of congee, and the fact that it is very easily digested, congees are often prescribed for elderly or chronically ill patients with weak blood and low energy. Congee made with brown rice is often given to nursing mothers to increase milk supply. The therapeutic properties of congee may be enhanced by adding traditional chinese herbs or other nutritional foods with properties known to address specific health issues. To make a rice congee, use at least six times the amount of water as you do rice and simmer covered for at least one hour. One cup of rice usually makes two or three servings. Crockpots are great to prepare congee. Set the crockpot on low and leave for at least four to six hours. It is better to use too much water than too little. The longer the congee cooks, the more powerful the nutritional benefit. Chinese herbs or other foods may be added to the congee. For example, aduki beans in chinese medicine are a diuretic and may be helpful to treat edema and gout. Carrots added to the congee may eliminate flatulence. Here is a sweet congee recipe that may even be eaten for dessert.